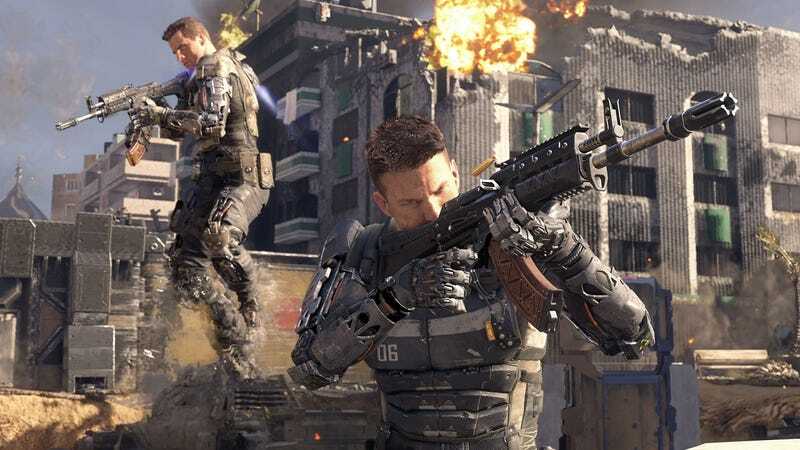 The single player portion of Treyarch’s next Call of Duty game has proven too much for the Xbox 360 and PlayStation 3, the studio announced today. Treyarch wasn’t building the last-generation versions of Black Ops 3, though it was overseeing them. Beenox and Mercenary Technology had been assigned the unenviable task of making the game work on old technology. Just months before the game is due to arrive, however, they’ve pulled the plug on those versions getting the campaign mode. “The ambitious scope of the 1-4 player coop Campaign design of the PS4, Xbox One and PC versions could not be faithfully recreated on old generation hardware,” the company said in a statement. The Xbox 360 and PS3 versions won’t have the weapon paint shop or eSports tools, either. They will, however, get multiplayer and the zombie-filled Shadows of Evil. With single player gone, they’re also dropping the price to $49.99.